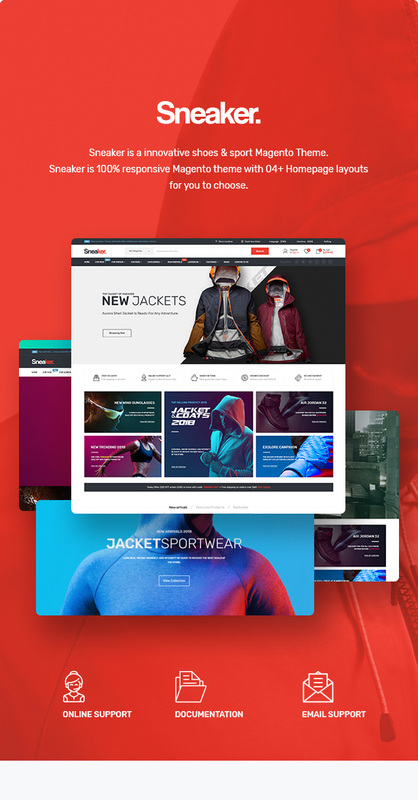 Thanks to a fully equipped magento theme that comes with a pre-packaged set of features to improve the browsing experience of your users, you can create a versatile and completely customizable your shop. Homepage is designed eye-catching with full width slideshows, that is great with smooth transitions of texts and nice images. 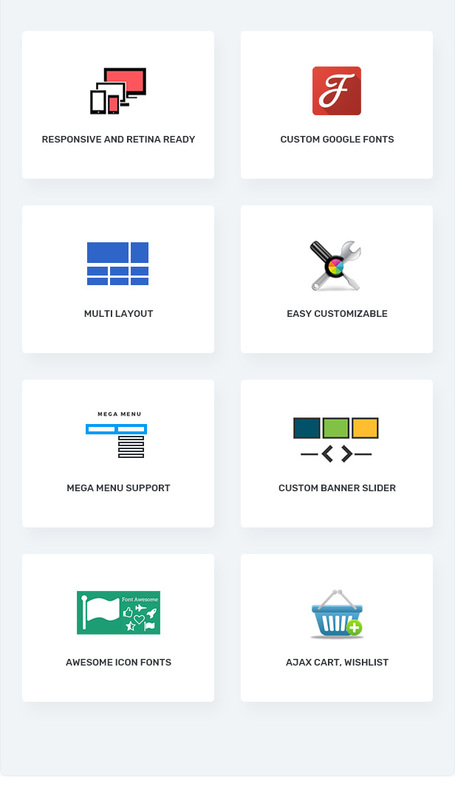 Organize the Mega Menu up to your preferences, make it as complex as you need. Tabs Category Slider displays a list of products from a specific category. Beside that, let your visitors know about your new, random, most viewed with the help of Tab Products. 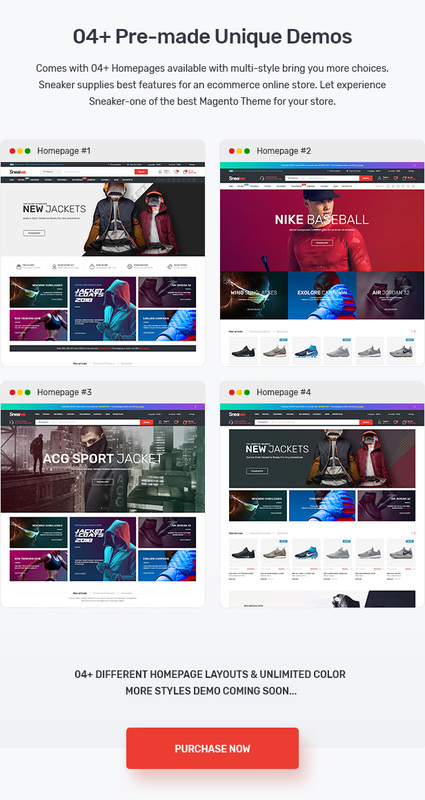 Especially, Theme Options help the store owner change the color of background, links on header, footer. 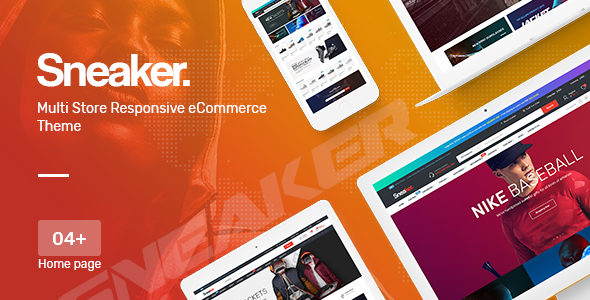 Enjoy Sneaker Responsive Magento theme in action with the demo preview.